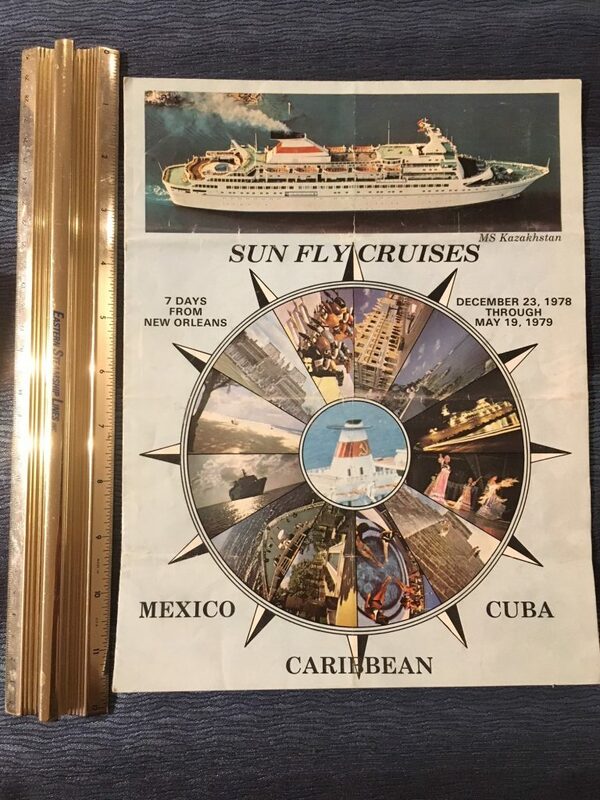 Sun Fly cruises are covered in the Brochure … to Mexico, Cuba and the Caribbean. Interesting format with nice color plans. Average condition with some wrinkling and folding.